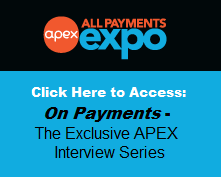 All Payments Expo Blog: Test Drive an Expert: Jon Round, Prepaid, i2c, Inc.
Test Drive an Expert: Jon Round, Prepaid, i2c, Inc.
We recently interviewed Jon Round, Senior Vice President and GM at Prepaid, i2c, Inc., who will be our featured expert on the topic of International Expansion at the 7th Annual Prepaid Expo, taking place this year in Las Vegas, Nevada, on March 12-13, 2012, where attendees will have the opportunity to schedule one-on-one meetings with Jon and other experts from an array of Prepaid specialties. 1. US regulation / uncertainty, competition and accommodation are encouraging Prepaid Program Managers to look at International Expansion. International Expansion diversifies their revenue streams, expands their geographic markets and potentially product offerings, leverages partner relationships, increases revenues and potentially improves margin. 2. Prepaid continues to be a vehicle to provide or improve on payment solutions (as it always has been) now we see evolution from the traditional products, e.g. gift, travel etc to create new solutions embracing mobile and wallet technology. 3. 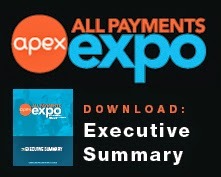 Global Prepaid continues to mature, with larger and larger players; FI's, Govt, Program Managers and Networks all focusing resources and entering markets. 1. Can you introduce me to a BIN sponsor in country XYZ? 2. Can you help me understand the market and factors I need to consider, which I don't know or haven't thought about? 3. Why are you best placed to support me Internationally / in country XYZ? 1. "Cookie cutter" approaches do not work, you need to develop a tailored solution based on the target market and demographic, it is very much a solution approach. International programs are initially more complex and more time consuming, compared to US programs. 2. Are you setup and structured to support International programs? Multi-lingual, multi-currency, 24x7x365 operations, local in country sales and support, funds repatriation and tax liabilities, do you have the existing infrastructure or are you prepared to make the investment required? 3. Make sure you have a full end to end solution and that you understand and have accounted for everything, have modeled the solution and that it is financially viable. 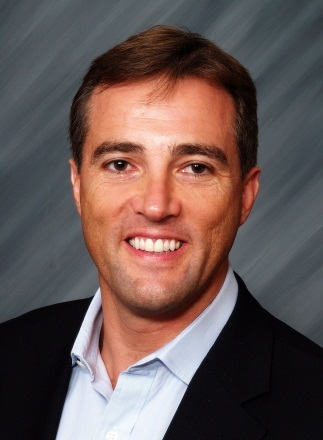 Jon Round has over 20 years experience in mobile, IT, prepaid and global payments. He joined i2c from Planet Payment, a multi-currency acquiring processor, where he was Vice President, International Business Development. Prior to this, Round grew and led the international business and global key account portfolio for Wildcard Systems (now Fidelity Information Systems) and was responsible for the full prepaid lifecycle. He expanded the business into 36 countries supporting 190 prepaid programs. During this period, Round also launched the first ever Visa prepaid card programs in Canada and the United Kingdom. At i2c, Round is responsible for all client-facing functional teams including business development, client account management, industry relationships and client support services. You can schedule a meeting with John Dancu at Prepaid Expo here, if you need help navigating the major business, technology and regulatory considerations relevant to expanding your prepaid business internationally.